According to he Health in Aging Foundation, person-centered care puts individual values and preferences at the heart of healthcare decisions, measuring success by focusing attention on people’s health and life goals. 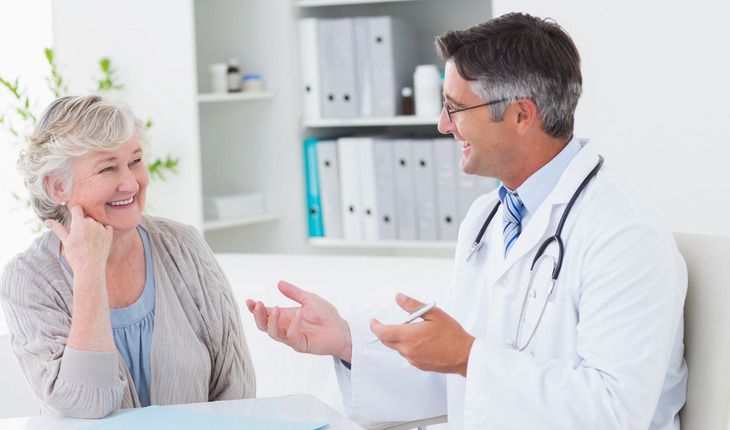 When you’re an older adult faced with a life-threatening illness — especially if you’re also dealing with other chronic health problems — your expressed values can guide your healthcare provider to helping you decide on the most appropriate treatment approach for you. Exploring and discussing your values with your healthcare provider is essential for setting effective goals for your health care and treatment plan. To help physicians and other healthcare providers assess an older adult’s values, a team of researchers recently reported on interviews with 146 veterans who had been diagnosed with and treated for colorectal, head and neck, gastric, or esophageal cancers. In addition to having cancer, the veterans also had conditions such as diabetes, chronic pulmonary disease, and heart disease. Now that you’ve had cancer, and may face ongoing decisions about medical care in the future, what would you want your family, friends, and/or healthcare professionals to know about you in terms of what’s most important in your life? If your cancer were to recur, is there anything you’d want to be sure your loved ones knew about you and your care goals? Connectedness and legacy. Being able to express how one wants to be understood or remembered by the important people in one’s life. Also, being socially and spiritually connected to others was another important value. The researchers noted that their study offers healthcare providers a framework to help explore patients’ health values and set specific goals. Adapting study questions for patients could make it easier for other healthcare professionals to engage older adults in discussions about medical decisions, especially in cases of life-threatening illnesses. The researchers also suggested that these discussions might help lower the anxiety and fear that older adult cancer survivors, particularly those who have other chronic illnesses, often experience. This summary is from “Health Values and Treatment Goals among Older, Multimorbid Adults Facing Life-Threatening Illness”. It appears online ahead of print in the March 2016 issue of the Journal of the American Geriatrics Society. The study authors are Aanand D. Naik, MD; Lindsey A. Martin, PhD; Jennifer Moye, PhD; and Michele J. Karel, PhD.